Eldest started in reception at the beginning of the year, and has had so much fun since they keep her so busy all day doing new activities. On Friday, she made bread at school as part of the harvest celebrations. She bought the bread roll home and was so proud that she had made it completely by herself, that she wanted to make her own tea using her bread roll. 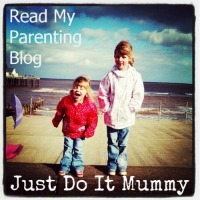 As eldest knows that Mummy writes a food blog, she asked if she could talk about her bread roll on my blog. We cooked a lot at home before she went to school, and we still do, so I think that it's great that she is so excited about food that she makes, and wants to share her achievements with the world. So here she is, talking about making bread at school and creating her Jam and apple bread roll, which she served with cheese.